In 2063 Zefram Cockrane designed and constructed the first space craft made by humans that reached warp speed. This was the birth hour of the Federation as this historical event has lead to the first contact with the Vulcans. The ships name was Phoenix. Centuries passed by meanwhile and the Federation did well in these years. Hundreds of worlds joined and live in peaceful coexistence. But the Federation has also many enemies, today more than ever before. 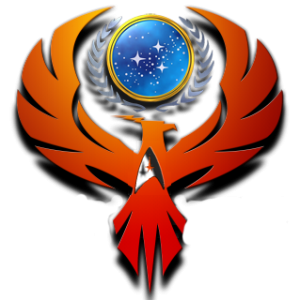 At stardate 90640.84 the Federation Counsil at San Francisco decided to form the Phoenix Legion XII in order to protect the Federation borders against any threat. The Phoenix Legion XII is an international fleet with interests in all areas of the game, members all over the world and the experience, drive and sense of fun needed to take on any challenge. The Fleet is part of the SWAT Portal, a large SciFi gaming community. If you want to join us then either leave us a message on the Forum or contact us ingame.